Click here to download the full Bowling Supplemental Application. This form is broken up into sections to make it easier to navigate. If you skip a section and need to go back please do not use the browser back button but simply use the form navigation to click on the section you need to correct. ANY PERSON WHO KNOWINGLY AND WITH INTENT TO DEFRAUD ANY INSURANCE COMPANY OR OTHER PERSON FILES AN APPLICATION FOR INSURANCE OR STATEMENT OF CLAIM CONTAINING ANY MATERIALLY FALSE INFORMATION, OR CONCEALS FOR THE PURPOSE OF MISLEADING, INFORMATION CONCERNING ANY FACT MATERIAL THERETO, COMMITS A FRAUDULENT INSURANCE ACT WHICH IS A CRIME AND MAY SUBJECT SUCH PERSON TO CRIMINAL AND CIVIL PENALTIES. ANY PERSON WHO KNOWINGLY AND WITH INTENT TO DEFRAUD ANY INSURANCE COMPANY OR OTHER PERSON FILES AN APPLICATION FOR INSURANCE OR STATEMENT OF CLAIM CONTAINING ANY MATERIALLY FALSE INFORMATION, OR CONCEALS FOR THE PURPOSE OF MISLEADING, INFORMATION CONCERNING ANY FACT MATERIAL THERETO, COMMITS A FRAUDULENT INSURANCE ACT, WHICH IS A CRIME AND SHALL ALSO BE SUBJECT TO A CIVIL PENALTY NOT TO EXCEED FIVE THOUSAND DOLLARS AND THE STATED VALUE OF THE CLAIM FOR EACH SUCH VIOLATION. ANY PERSON WHO KNOWINGLY AND WITH INTENT TO DEFRAUD ANY INSURANCE COMPANY OR OTHER PERSON FILES AN APPLICATION FOR INSURANCE CONTAINING ANY FALSE INFORMATION, OR CONCEALS FOR THE PURPOSE OF MISLEADING, INFORMATION CONCERNING ANY FACT MATERIAL THERETO, COMMITS A FRAUDULENT INSURANCE ACT WHICH IS A CRIME. ANY PERSON WHO KNOWINGLY AND WITH INTENT TO INJURE, DEFRAUD OR DECEIVE ANY INSURER, MAKES ANY CLAIM FOR THE PROCEEDS OF AN INSURANCE POLICY CONTAINING ANY FALSE, INCOMPLETE OR MISLEADING INFORMATION IS GUILTY OF A FELONY. ANY PERSON WHO KNOWINGLY AND WITH INTENT TO DEFRAUD ANY INSURANCE COMPANY OR OTHER PERSON FILES AN APPLICATION FOR INSURANCE OR STATEMENT OF CLAIM CONTAINING ANY MATERIALLY FALSE INFORMATION OR CONCEALS FOR THE PURPOSE OF MISLEADING INFORMATION CONCERNING ANY FACT MATERIAL THERETO COMMITS A FRAUDULENT INSURANCE ACT WHICH IS A CRIME AND SUBJECTS SUCH PERSON TO CRIMINAL AND CIVIL PENALTIES. ANY PERSON WHO, KNOWINGLY AND WITH INTENT TO DEFRAUD ANY INSURANCE COMPANY OR OTHER PERSON FILES AN APPLICATION CONTAINING ANY FALSE, INCOMPLETE OR MISLEADING INFORMATION IS GUILTY OF A FELONY OF THE THIRD DEGREE. ANY PERSON WHO INCLUDES ANY FALSE OR MISLEADING INFORMATION ON A N APPLICATION FOR AN INSURANCE POLICY IS SUBJECT TO CRIMINAL AND CIVIL PENALTIES. ** This information is not required, however, this information will help us to better analyze your account needs and will also help us to obtain the most competitive quote! Are ball racks secured/anchored to the floor? Does your bowling center have automatic Scoring equipment? Are any flammable liquids stored on premises? Are all flammable liquids stored in UL approved containers? Do you sponsor any professional tournaments? If Yes, are certificates of insurance obtained from sponsoring organization? Do you have a pro shop on premises? If an Independent Contractor, is insurance placed elsewhere? Does your bowling center have amusement devices or arcade? Do you lease your facility for birthday parties or banquets? Please describe the type of Banquets? Do you perform background checks on your adult staff, whether volunteers or paid employees? Any other activities or business operations? Is the restaurant leased to a third party? Are all cooking surfaces protected by a hood and duct system? Do you have a service contract with a contractor to clean the hood and duct system? Is there an automatic extinguishing system? What type of automatic extinguishing system is in place? How often is the system serviced and maintained? When was the system last inspected and serviced? Do you have a deep fat fryer on premises? Are portable fire extinguishers provided in the kitchen? Are food and beverages permitted in the bowling area? 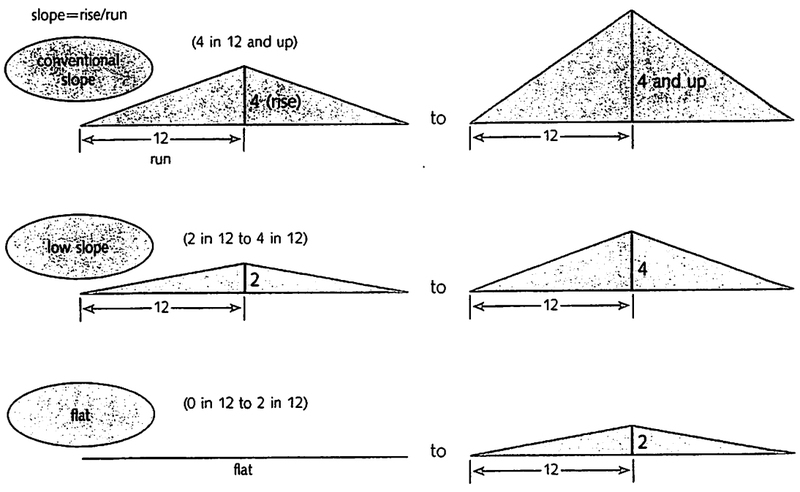 What is the age of the roof cover? What is the roof support made of? What is the roof covering made of? Has the building been exposed to a hail storm in the past 12 months? Has the roof been replaced? Do you have roof mounted equipment (HVAC, solar panels, process equipment,etc)? Do you have the roof inspected at least annually by a qualified person? Have you experienced roof leaks in the past 12 months? Is building protected by a sprinkler system? Does the bowling center have any alarm systems? Where do cameras provide coverage? How long does the DVR keep footage? Are burglar/fire alarms centrally monitored? Who is your responding Fire Department? Do you have a business auto policy for owned autos? Has your alcoholic beverage license ever been revoked or suspended? Have you had any occurrences that have arisen out of the sale of any alcoholic beverage? Has your liquor liability insurance been canceled or non-renewed in the last 3 years? Have you ever been fined by alcoholic beverage control or other governmental regulator? Are patrons allowed to carry alcoholic beverages onto the premises? Are all alcohol-serving employees certified in a formal alcohol training course? In what size container are alcoholic beverages served? quantity of alcoholic beverages purchased at one time? Do you serve beer or alcohol from “bar carts”? Is there a separate outside entrance to the bar or Lounge Area? Does bowling center feature any entertainment? If musical entertainment, what type? Is there a minimum or cover charge? Is the parking area patrolled to prevent intoxicated drivers from leaving the premises? Is there any type of designated driver program in effect? Describe security measures in place. Are rules and regulations clearly displayed for patrons’ viewing? Other promotional activities or events? Is an Additional Insured needed?